Wildlife Acoustics - Wildlife Acoustics Blog - Wildlife Acoustics at sea, land…and now sky with BBC Cloud Lab expedition! 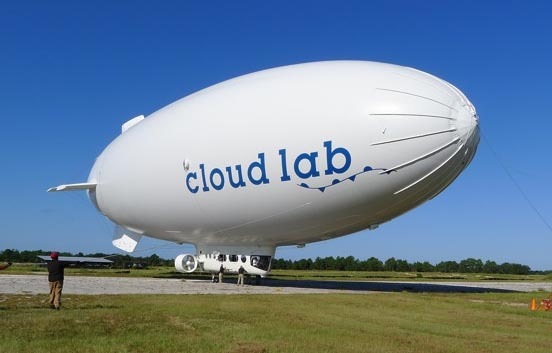 Now, we are taking it to the skies with the amazing BBC Cloud Lab airship expedition. Starting off from Cape Canaveral and ending in San Francisco, the month-long trip will take a group of scientists over oceans, wetlands, drylands, and deserts. Bat researcher, Jennifer Krauel will be using Wildlife Acoustics SM2BAT+ to study bats and high-flying insects. The BBC2 crew will film her studies while the ship is above Frio cave in Texas, which is expected to be around the end of October. In a recent blog post, Krauel explains in detail how she tested the device on the airship using various microphone cables and fishing weights. In addition to recording bat passes, Krauel has also installed an insect net outside the ship to collect insect samples. The net has a pouch in the back so that scientists will be able to remove and collect insect samples throughout the trip. Be sure to stay tuned for updates on the expedition!